Chandigarh 9th August, The PGI Medical Technologists Association had resolved to serve notice under Section 22 (I) (b) of the Industrial Disputes Act, 1947 for one day mass casual for 26th August, 2016. The Association waited for peaceful resolution and implementation of 2nd Cadre Review Anomaly Report dated 31.1.2005 for more than 10 years. On 25.7.2016, a meeting was convened by Dr. Yogesh Chawla, DPGI. Though, he assured for positive action on the longstanding demand and grievances by the Governing Body on 6.8.2016 but there have been no fruitful results. Today, the Executive Body reviewed the situation and in view of the discriminatory, callous, indifferent and negative attitude of the PGI Authorities, it had decided to resort to one day mass casual leave on 26th August, 2016. 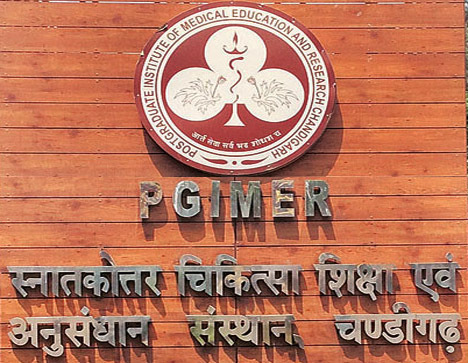 It will be worth mentioning that each and every category of Group B, C and D employee of PGIMER, Chandigarh and AIIMS, New Delhi has already been granted the benefit of 2nd Cadre Review w.e.f. 1.3.1992 except the Medical Technologists of Institute. It is hoped that PGI Authorities will own the moral and legal responsibility for the consequences of the one-day ‘mass casual leave’ in view of the fact that the medical technologists have patiently and meticulously waited for peaceful resolutions of the industrial disputes for more than 15-16 years. Earier, PGI MTA observed 10 days strike from 10th April to 25th April, 2008 on this demand.